And even more artwork for 2018 created by Warwick and West Milford talented students. The theme is "Your pet with the Vet" PHOTOS HERE . . .
More artwork for 2017created by Warwick and West Milford talented students. The theme is "Your pet at the Vet" PHOTOS HERE . . .
Summer Beach Goodie Bag Raffle Winner is . . .
Dr. Eric Louër is well known in his practice at the Greenwood Lake Animal Hospital in Hewitt. Louër has treated thousands of animals and he and his staff have donated much for the betterment of animals in the township and beyond. Now, Louër has nominated a well-known West Milford dog for the New Jersey Veterinary Medical Association Animal Hall of Fame. Here is the text of Louër's nomination letter. as a Bright and Beautiful Therapy Dog-Handler Team. GWLAH donates two "O2 Fur Life" kits to the West Milford Ambulance Corps. 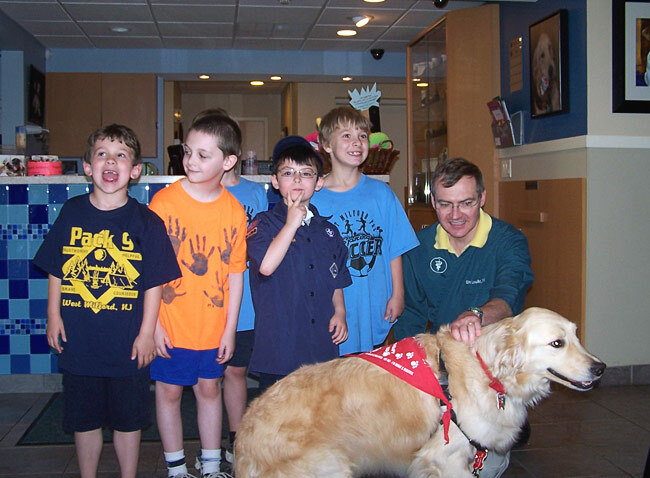 Tiger Scouts/Pack 9 visit GWLAH to learn about pet care. 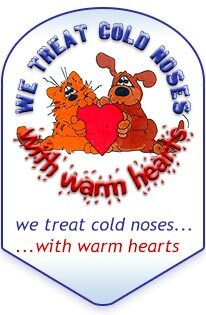 Greenwood Lake Animal Hospital Supports Local Charities - 2011. Dr. Eric Louër performs reconstructive surgery on a 725 lb. black bear. 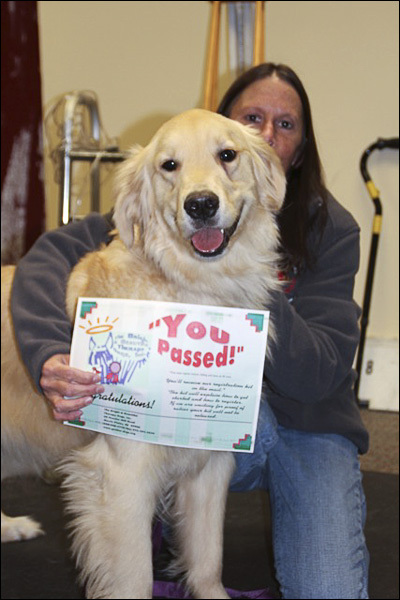 Continuing education comes to Greenwood Lake Animal Hospital. 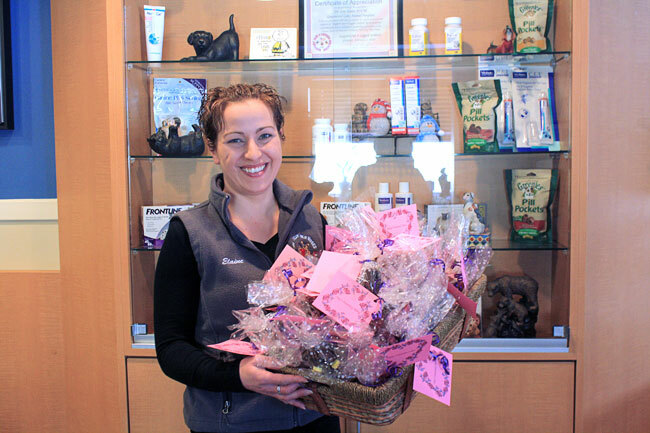 Greenwood Lake Animal Hospital hosts Veterinary Conference for staff. 8/2016 - Sherry Bauer is the winner of the summer beach bag filled with goodies including a Kindle PaperWhite and Amazon Gift card. 8/2014 - Kindle Raffle Winner Ken Long. 2/14/2014 - To share our gratitude and appreciation, we created special Valentine treats for OLQOP food pantry. 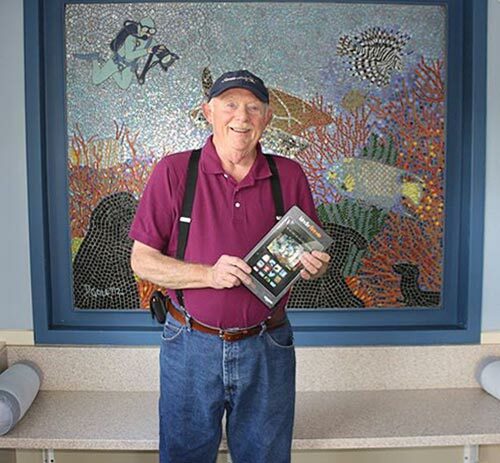 8/12/2013 - Congratulations to Robert Stark, entered in the Deramaxx 30 Dogs 30 Days Challenge at GWLAH, is the lucky recipient of a Kindle Fire. As a result GWLAH has also won! 12/2012 - Congratulations to the LoBianco Family. 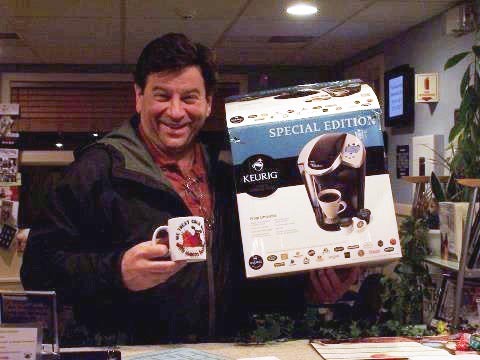 Winners of the Keurig Coffee Machine. 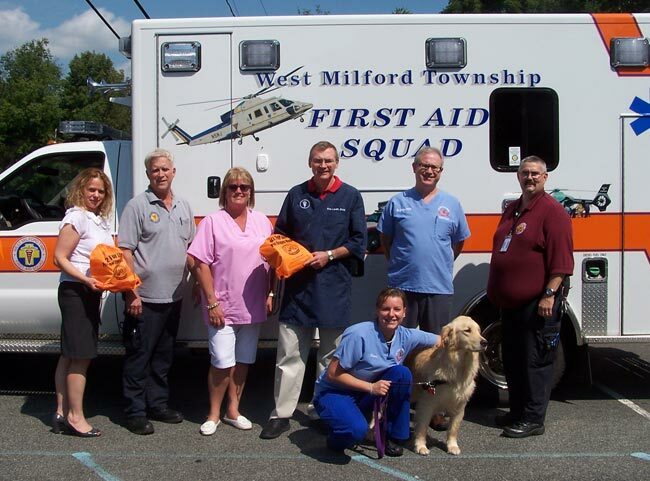 9/2012 - GWLAH donated to the West Milford Ambulance Corps two "O2 Fur Life" kits. These are specially designed animal oxygen masks for pets suffering from smoke inhalation or exposed to toxic fumes. 6/15/2012 - Let there be light...and heat. GWLAH now has a generator to provide necessary medical care for pets during extended power outages. 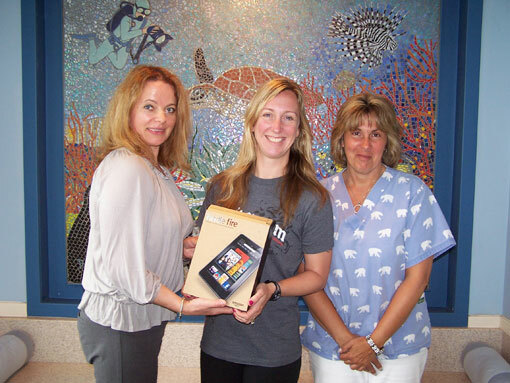 present the Grand Prize Kindle Fire to our Lucky Raffle Winner Joan Darnsteadt. Bright and Beautiful Therapy Dog-Handler Team.